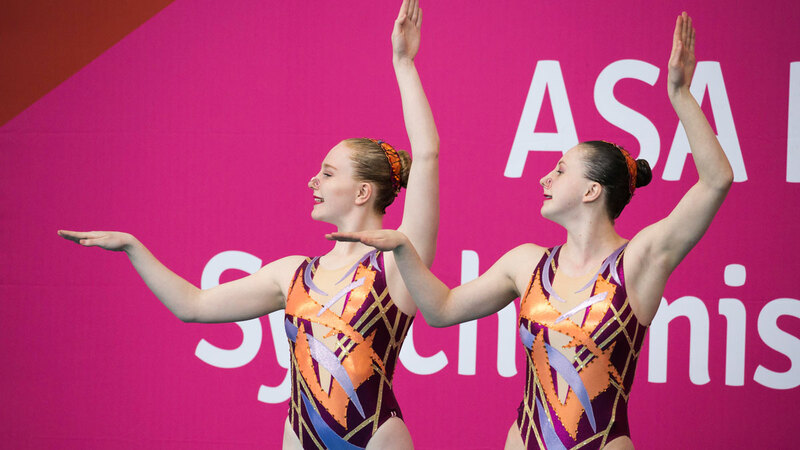 Isabelle Thorpe and Kate Shortman were in a class of their own as they stormed to the senior Free Duet title at the 2017 National Synchronised Swimming Championships in Nottingham. The City of Bristol pair finished more than 10 points clear of the field as they won gold on 77.6000. The score is more than two points clear of their title-winning tally from 12 months ago as well as an improvement on their 77.4667 from the final of the FINA World Series in Paris last month. “That was definitely very hard but we’ve trained very hard towards it,” said Thorpe. “We competed it at the French Open and also scored 77 so that was good. We’ve been working on our fitness a lot since then. It is a really hard routine and we want to maintain our level as we swim it and not drop at any point. The pair’s synchronisation was impressive, despite performing a fast and challenging routine to music by Beethoven. The score was all the more impressive because it came less than two hours after Shortman and Thorpe had swum to gold and silver in the Free Solo competition earlier in the day. Rushmoor bronze medallists Rosie Gunn and Victoria Usher performing their Free Duet routine at the 2017 National Synchronised Swimming Championships in Nottingham. Preston swimmers Matilda Hadcock and Rhea Howard performing their Free Duet routine at the 2017 National Synchronised Swimming Championships in Nottingham. City of Leeds swimmers Isobel Davies and Olivia Burton performing their Free Duet routine at the 2017 National Synchronised Swimming Championships in Nottingham. Rugby swimmers Emily Durkin and Rhia Perks performing their Free Duet routine at the 2017 National Synchronised Swimming Championships in Nottingham. City of Birmingham swimmers Jodie Norton and Melanie Whitburn performing their Free Duet routine at the 2017 National Synchronised Swimming Championships in Nottingham. 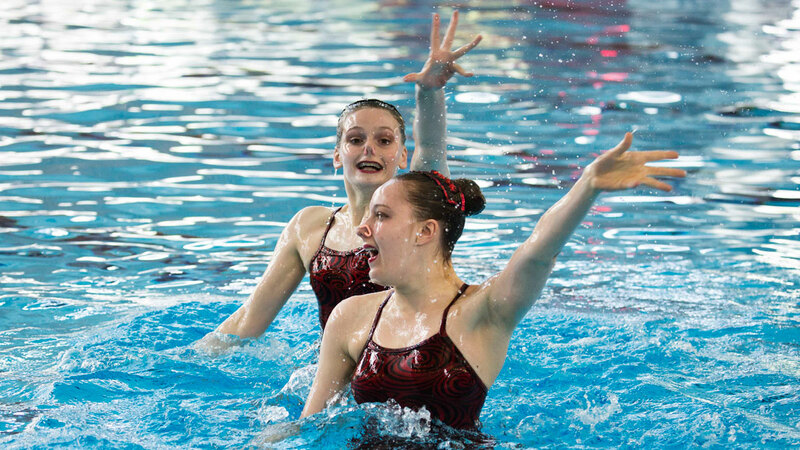 City of Leeds silver medallists Rebecca Richardson and Millicent Costello performing their Free Duet routine at the 2017 National Synchronised Swimming Championships in Nottingham. City of Bristol gold medallists Isabelle Thorpe and Kate Shortman performing their Free Duet routine at the 2017 National Synchronised Swimming Championships in Nottingham. City of Birmingham swimmers Pyper Watkins and Sydney-Ann Jackson performing their Free Duet routine at the 2017 National Synchronised Swimming Championships in Nottingham. While the Bristol pair have had a busy weekend, Rebecca Richardson is the only swimmer to have competed in every event in Nottingham. And she shows no sign of slowing down as she won her sixth medal in the Free Duet. Teaming up with Millie Costello for the first time, the pair showed excellent travel and energy throughout as they scored 67.5667 for their routine to ‘Explosive’ by string quartet Bond. Rushmoor grabbed the third spot on the podium as Rosie Gunn and Victoria Usher scored 65.4667 for their Free Duet routine.